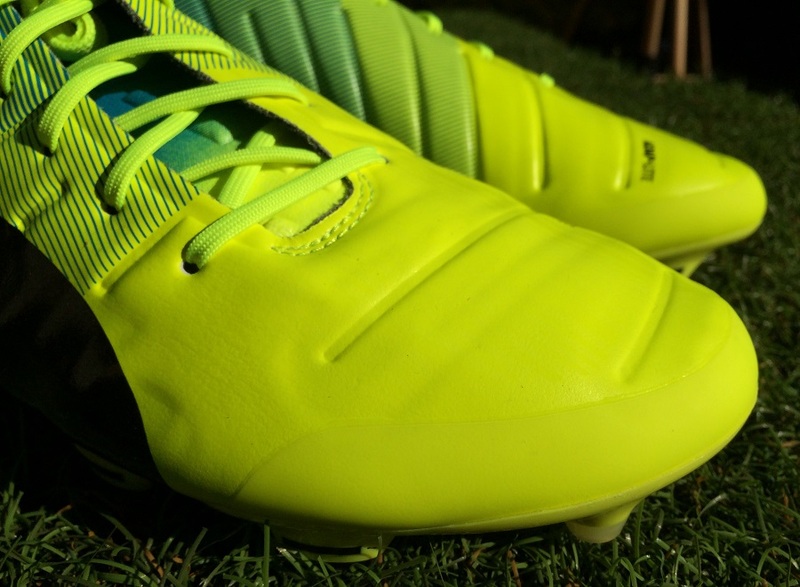 Back in January when they were released, many regarded this latest evoPOWER 1.3 as a “make” or “break” for the series. Coming off the heels of the special edition Camo version, this new evoPOWER was still grounded in the principles of barefoot kicking, designed by Puma to enhance what the body does naturally. Placed inside a special edition presentation case, there was an air of positivity about the boots when they arrived, something that transcended when I got them in hand for the first time. But how did that play out on field? And is this a boot that is set to be a front-runner for 2016 boot of the year? After several weeks wearing both the Camo and release colorway, here is what we thought. Check all available colorways at soccer.com. 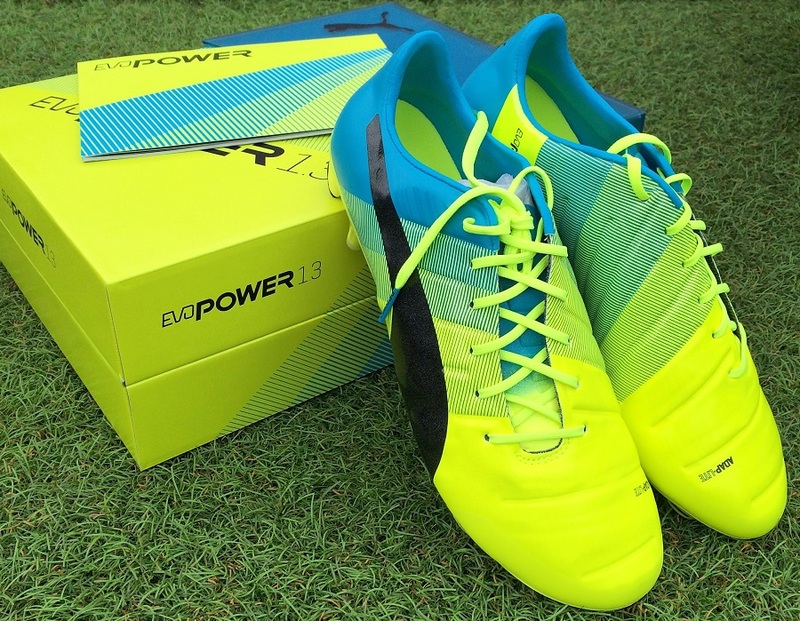 The original evoPOWER earned the 2014 boot of the year title, where as the second generation was not even in the conversation for 2015’s title. So, how will this latest Dr. Jekyll and Mr. Hyde series. All indications point toward a much more functional boot that is grounded in the principles of barefoot kicking. 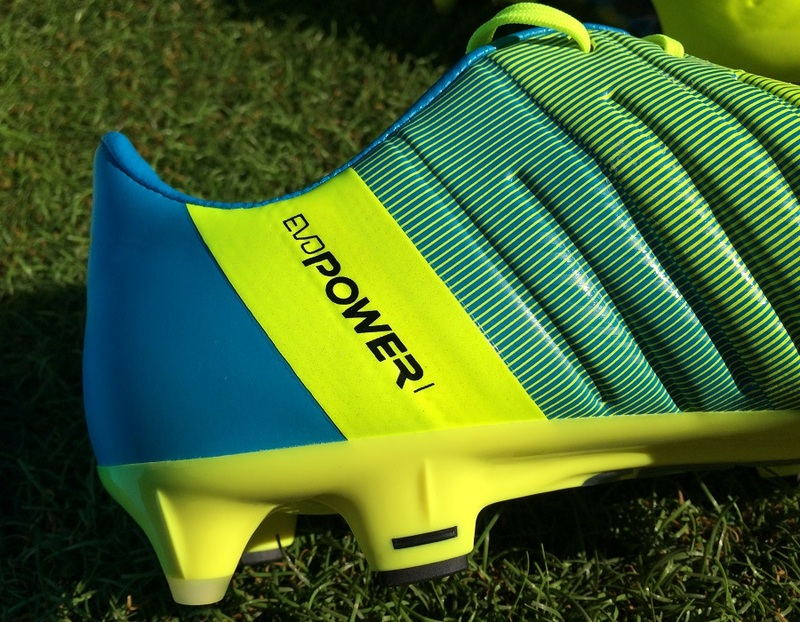 The first thing to note about the evoPOWER series is that they are built using very pliable materials. The upper is made of one-way stretchable Adap-Lite that allows the foot to bend in a way that it mimics a barefoot kicking motion. The same is true of the soleplate that can be flexed in both directions. As a result, they already have the feeling of being broken in right from first wear. Your only job is to allow the upper to adjust and mimic your overall foot shape, but when it comes to initial wear, players shouldn’t have any significant comfort concerns. Through the first wear, I did encounter a hotspot inside the boot, toward the bottom region of the tongue. The extra material left in place after the tongue is stitched in place created a fold and started rubbing along my toes. It is one of those simple issues that can cause blisters if not addressed immediately. It took me a few attempts to get my foot into place with the material sitting flat along the boot. Once adjusted and after a game, it molded up against the upper and hasn’t caused problems since. Just be wary that if you have a similar experience it needs to be addressed immediately! The upper features the same type of tech specs with have seen in both prior generations, but things have again been modified. The Adap-Lite top layer stays true, with the material offering stretch in the unconventional direction, in other words down towards your toe. This allows the material and soleplate to naturally follow the shape of your foot as it straightens and adapts to a striking motion. Through wear, this is one area that makes the boot extra special – we will cover that in the performance section below. In an effort to revitalize the series, Puma has changed the Accu-Foam design dramatically, shifting towards the same design found on the original version. Accu-Foam actually serves a second function also, to provide support to the upper. It is a sort of skeleton below the top Adap-Lite upper. In this reworked update, a softer material and more strategic positioned foam through the upper (and strikezone) provides a cleaner, more natural feel on the ball. So, what does that all mean when you get on the ball? The first thing to note is that Accu-Foam offers a sponge like feel, so as you look to touch and control the ball, you get a little extra help! That is not quite accurate, but I can confirm that these are a great boot when it comes to close control. 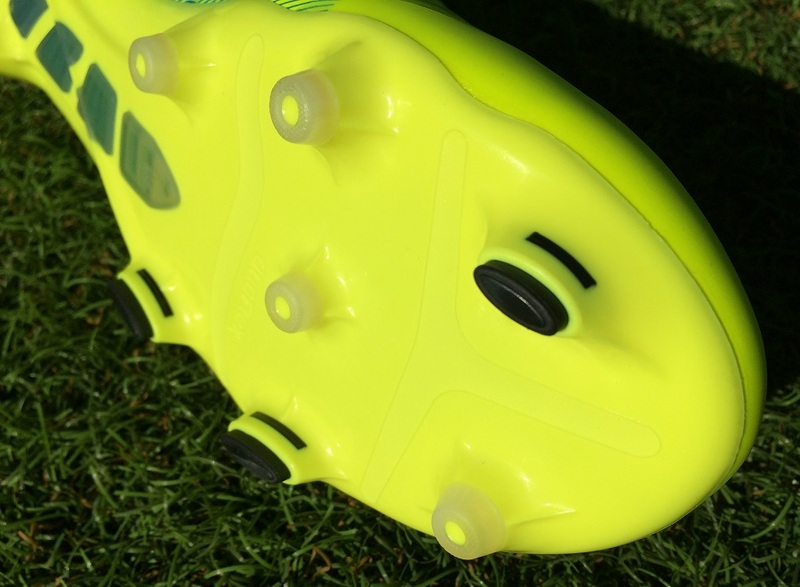 This is especially true as you take touches along the instep, where you get a CTR360 Maestri like padding. I like this a lot! The added definition through the region also gives more surface area for cushioning the ball into. When it comes to striking shots, I’m a huge fan of Accu-Foam. It provides the right type of feel you want when looking to put your foot behind the ball and strike hard shots. Some players will argue that a material like Accu-Foam will only soak up power as you connect, but I’m more in the camp that it reduces the amount of impact and that will provide players with more confidence when striking. When you couple that with the motion offered by the soleplate, you get a very natural style strike with added spring-back to increase the amount of follow through. I like to think of it this way; a normal boot can be compared to a tennis racket, where it is intended to stand firm and provide an immediate punch when it connects with the tennis ball, while the evoPOWER can be compared to a fly-swat, where the amount of energy provided increases through your swing. And I’m over emphasizing here to create a visual; it is the motion through connection with the ball and the millisecond to release where the continuous motion will come into play. But, does that create a dramatic difference? I’d argue YES in terms of general feel, as you are not getting the punched feeling on the ball, instead evoPOWER allows you to ease through the strike. I’ve also got to point out here that the foam is not as thick through the strikezone as it was on the original evoPOWER, so in that respect you get a different feel between both boots. When creating this new outsole, PUMA focused on how force travels from the heel to the forefoot, and from the lateral to medial side of the boot. The improved configuration of bladed and conical studs allows for more maneuverability and gives extra stability in the midfoot for the standing leg when kicking. The new evoPOWER 1.3 further features optimal ground penetration in all-weather conditions. The one area of this release that performs perfectly is traction and general underfoot feel, so it seems that their time was well spent! When it comes to stability, you just feel grounded wearing them. Each blade and stud position seems to combine effectively to balance weight distribution and keep you secure on your feet. I’m a huge fan of the slightly thinner conical suds that are used. They definitely offer quick release from FG and Turf surfaces without sacrificing grip. As compared to the evoSPEED soleplate, these are a much more effective when it comes to acceleration and general feel. I’d chose this soleplate configuration first, any day of the week. There is some tech talk about “force traveling from heel to forefoot” but it is something I don’t have a great deal of significant feedback on. It is not something I noticed in play. They simply worked for me, offering excellent grip and traction on both grass and turf surfaces, and I felt comfortable in release through quick turns and sharp chops. Are They A Power Boot? 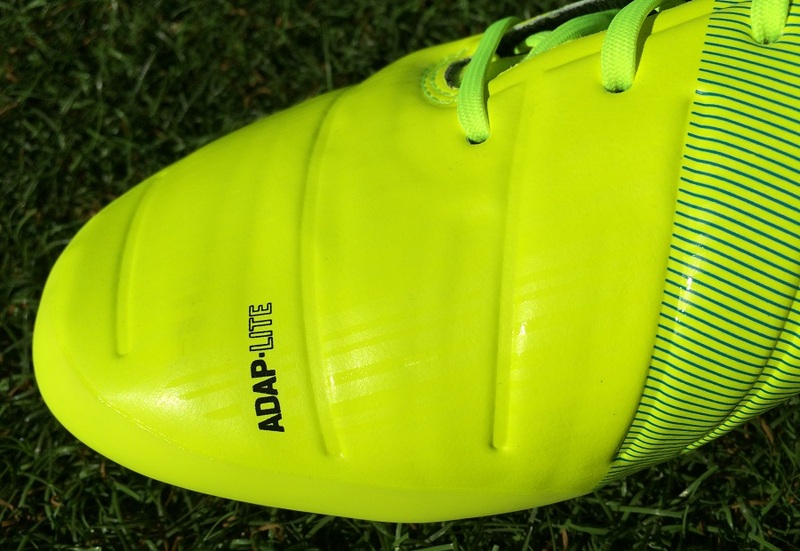 They are a definite hybrid style Power/Speed boot, sitting in a unique new category. 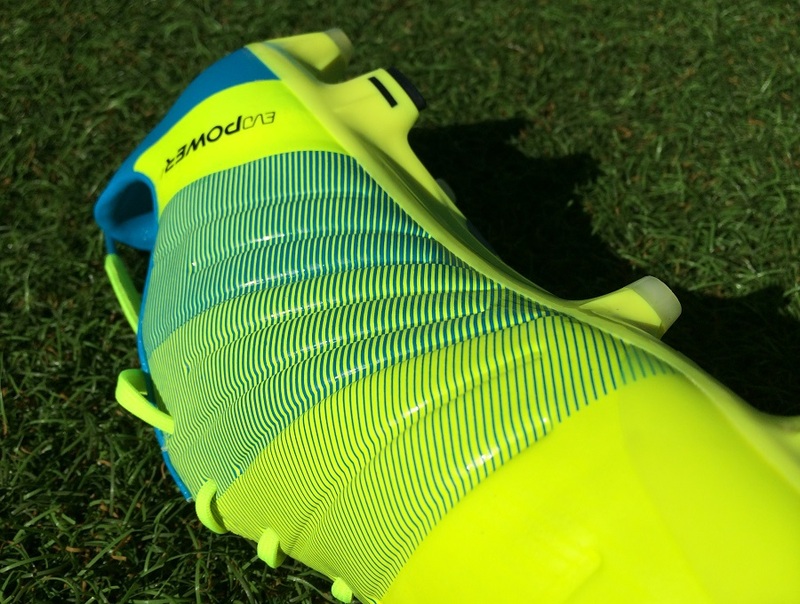 Power boots like the adidas Predator and Warrior Skreamer implemented added rubber pieces to help increase rebound and shot power. That is not exactly true with these. Accu-Foam is a lot softer and provides a clean, padded area for striking solid shots. You feel less impact through the strikezone but you still get some rebound. When it comes to speed, they weigh in at a very commendable 7.5oz. And when you couple that with the traction system in play, evoPOWER 1.3 can be classified as a boot designed for explosive speed. 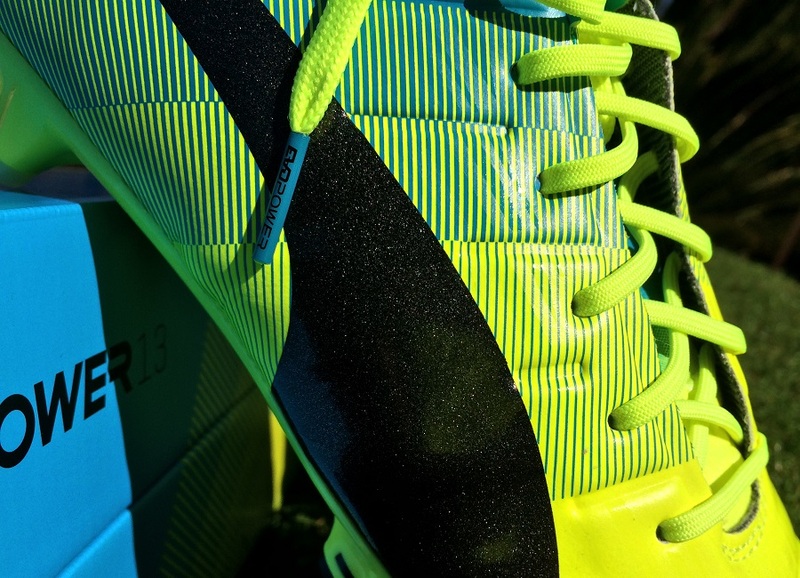 The evoPOWER series has gained a reputation as being the most accommodating fitting boot in the Puma series. That again plays out true, with a nice spacious fit through wear, although I wouldn’t classify them in the debate for “wide” fitting boots out of the box. They are more of a medium/wide fit starting out, with the upper offering some stretch as you break them in. Through wear, I felt very comfortable in them, with a very natural shape for my fit. BUT, I can tell there will be some wide fitting players out there that won’t feel as comfortable wearing them, so I can’t go as far as saying they are suitable for wide fits. If anything, I’d place them right on the borderline of a wide fit. Basically, I wore a size 9US and they were a comfortable true-to-size for a medium/wide fit. This is a release that takes a step back and moves closer to the original evoPOWER release, rather than the second generation. 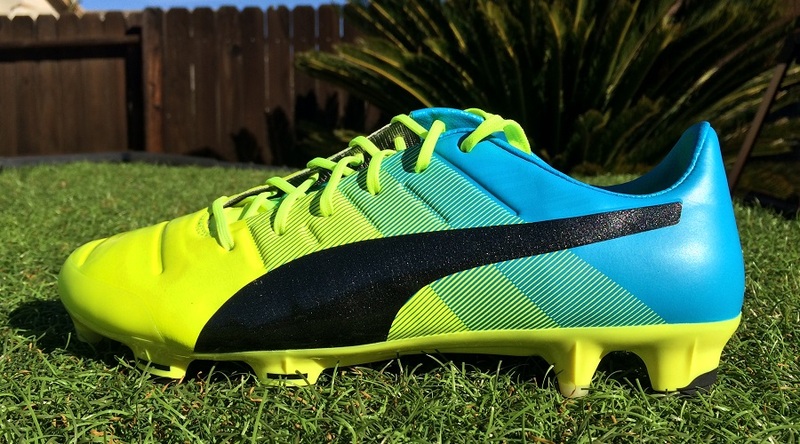 Thankfully, Puma took player feedback and accepted the fact that the original performed much more proficiently. With modified upgrades in place, does that make these the best to date in range? I’m not so sure it does, actually. I never had that “wow” factor like I did with the original when I experienced them for the first time. And it really is difficult to discern the difference between both as they have a similar feel in play. In reality, I’m just reveling in the approach Puma took in developing these boots after the second generation failed to even receive a mention in the discussion for best boot of 2015. 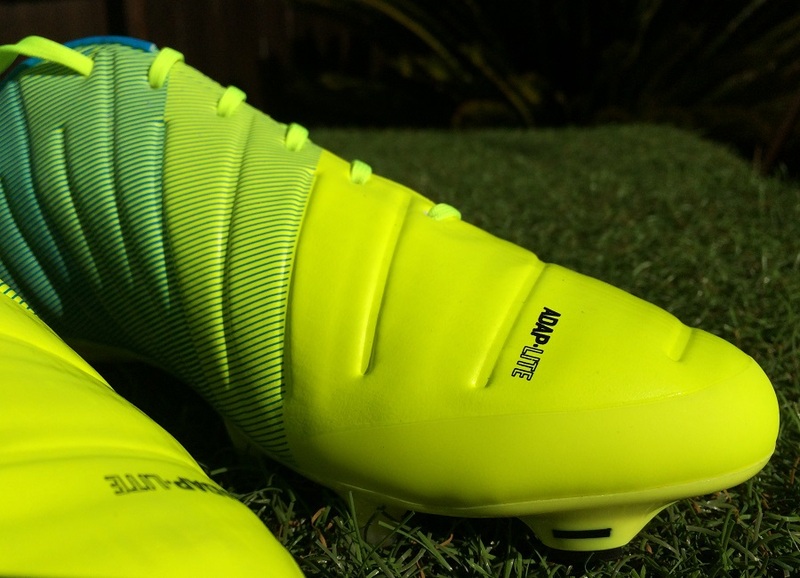 The evoPOWER 1.3 is sure to be a nominated boot for 2016! 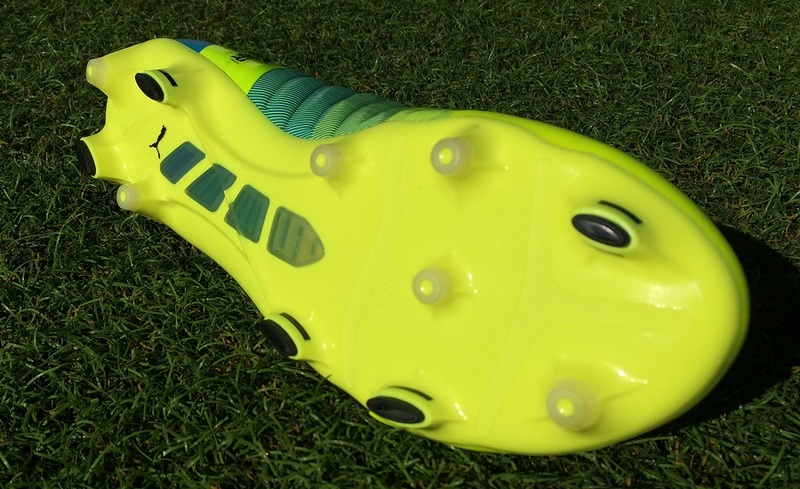 This is the type of hybrid style boot that offers players a very uniform, hybrid style performance. For that reason, there is not a lot to be critical of – they simply work. In saying that, they don’t sit as my top ranked boot at the moment, primarily because I never encountered a “wow” factor while wearing them. Just know if you get are on the market for a pair, they won’t disappoint. As of posting, there were pairs available on sale for $130. If that is the case, these are a MUST PURCHASE! Find the current line-up available at soccer.com. Highlight: A hybrid style power/speed boot that fits super comfortable, has incredible stretch and provides a pretty perfect style strike zone. Category: Power/Speed Hybrid, with elements of control in their too. Would I Buy Them: I would – this is a boot I have been and will continue to recommend to a wide variety of players. Player Position: Although they are advertised as a more attacking styled shoe, I’d label them to be much more versatile. Defenders will love what these have on offer as well as playmakers and strikers. There is an ease about these that will benefit a lot of playing styles. Does sizing runs same as EvoPower 1? Hi, I´m searching for a good durability shoe. 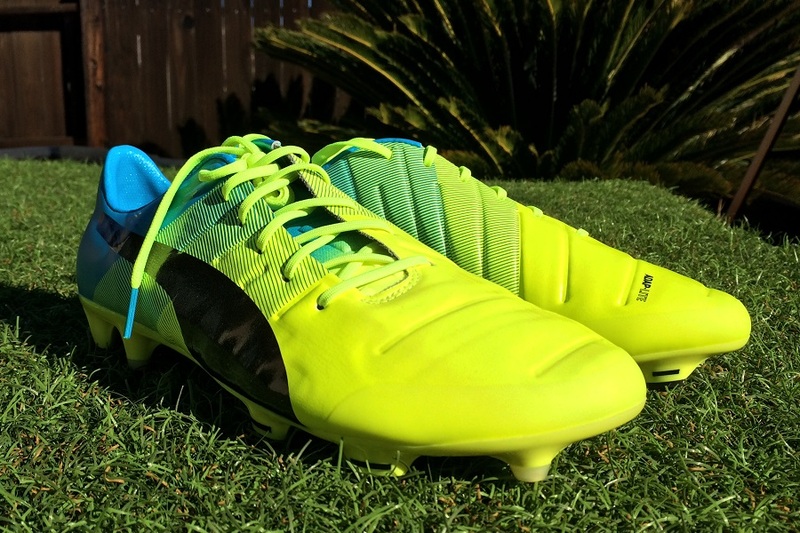 How´s the puma evopower 1.3? I was also thinking of adidas 16.1 and nike tiempo legend 6. I using 1.3 for couple of weeks already. Am using firm ground stud on astro pitch but can tell it is quite lasting. Comfort wise is great. Hi just wanted to follow up on this. How long did your pair last you on astro pitch? I play weekly and mostly on astro/turf surfaces and wanted to know if it was durable. I want to get this boot but, I wear size 13 in normal shoes and have wide feet. As a reference point, I’m wearing adidas gloro, size 12 1/2, and they once they stretched… they fit great. Should I get size 13 or 14 in these cleats? Another question….. are there any 2016 cleats that are good for wide feet? I tried on the 1.3 and hypervenom phinish 2 with homeycomb upper. I loved both, but having a hard time picking one. whats your recommendation?